The first novel by a Czech author to address the European migrant crisis depicts the reduction of the lives of ‘foreigners’, artificially created enemies, to a problem, manpower, material. The hero of this book is an unnamed teenage refugee. He finds himself in a foreign country in the middle of Europe, which in his eyes looks like nothing more than a complex of fences, overpasses, railway corridors and warehouses. An unknown territory, which to him seems distant and hostile. Travelling through the cold winter landscape, he is denied real life, moving like a shadow on the periphery of the land and society. Šindelka’s narrative follows this boy’s perilous journey, as he tries to get to a city in the north he had been heading to with his older brother Aamir, before they were split up by traffickers. 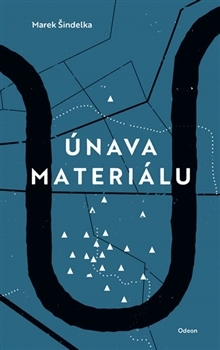 Material Fatigue is a uniquely physical novel, Šindelka’s original, raw, succinct poetic style captures every movement and involuntary reaction, every flash of pain. This draws us into the journeys of both brothers from their war-torn home to a new future but it is up to each reader to draw their own conclusions. The novel doesn’t moralise, it isn’t a political or social pamphlet, it doesn’t point fingers. Although it is based on the current migration crisis, Material Fatigue is a powerful exploration of universal themes of alienation, the loss of one’s home and roots.